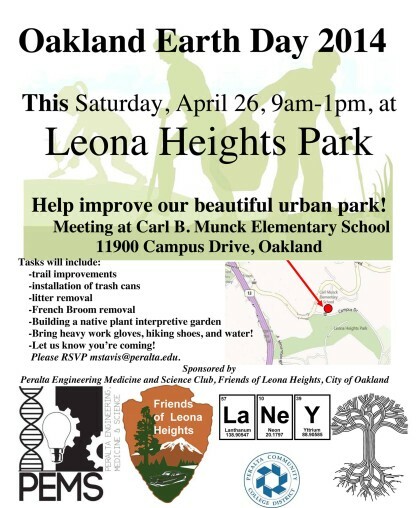 Friends of Leona Heights in cooperation with Peralta Engineering Medicine and Science Club (PEMS) is holding an Oakland Earth Day cleanup and build event at Leona Heights Park this Saturday April 26, from 9am-1pm. Please join us for trash cleanup, trail improvements, trash can installation and invasive plant removal, and development of a native plant interpretive garden. Professional opportunities are available for natural history and civil engineering students. 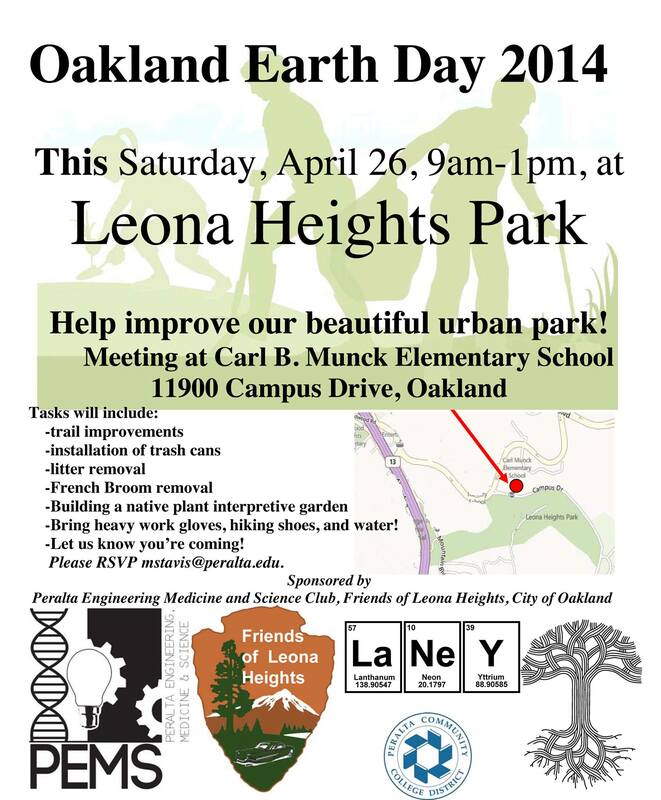 Leona Heights is a beautiful urban park right in Peralta’s backyard. Across the street from Merritt College, the Park features about a thousand vertical feet of trails, gorgeous views, a canyon with a dramatic creek, and the oldest old-growth redwood in the Oakland hills.